Adult Gymnastics provides a new opportunity to try out an amazing sport. Build your strength, flexibility and control and test yourself in a range of different activities. The minimum age to attend the course is 15. 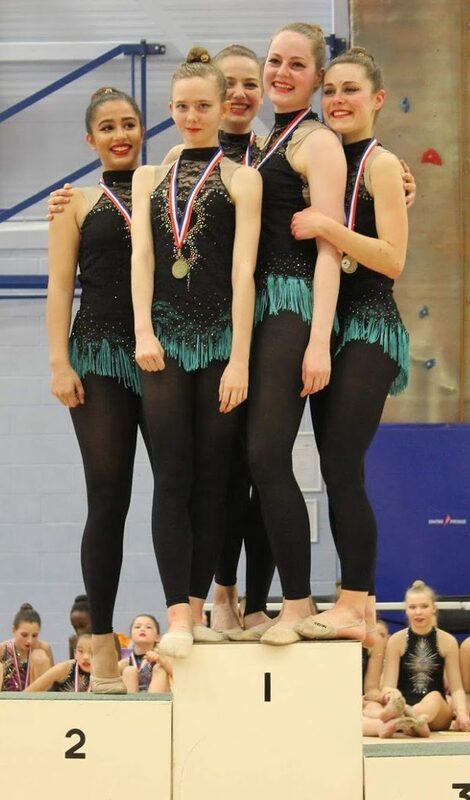 Our adult competitive group on the highest podium step last April at the regional 1-3 Tournament.